Filled with delicious nuts and sweet fruit, this sumptuous almond and fig raw chocolate bar is 100% organic. 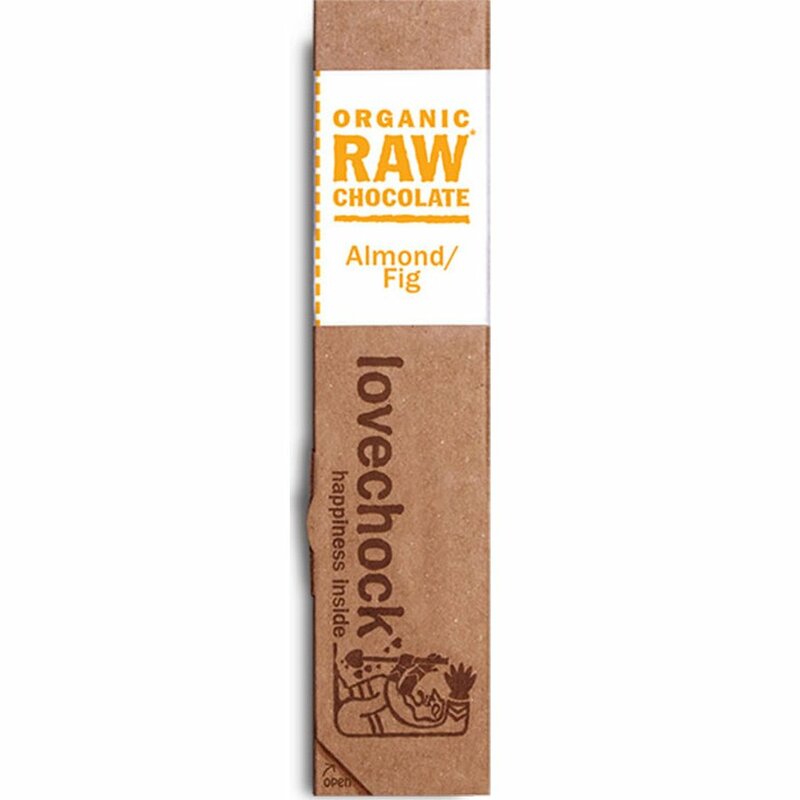 Lovechock is suitable for a vegan diet, and is made without any dairy, soy or gluten. Alternatively sweetened with coconut blossom nectar, it is created without any refined sugars. Store in a cool, dry place between 12 and 17 °C.